George Grant, Keith Mathison, Michael Morales, Stephen Nichols, R.C. Sproul, and R.C. Sproul Jr. opened the conference with a pre-conference round table discussion on Christianity, culture, and the reign of Christ over all things. 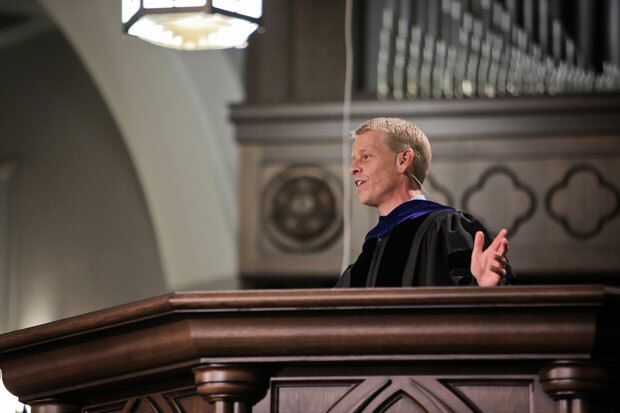 Stephen Nichols gave the formal address during RBC’s convocation ceremony and showed us four surprises of God from Exodus 25:21–22, Romans 3:21–26, and the life of Martin Luther. God used a troubled man like Martin Luther. God chose the weak and insignificant nation of Israel over the superpowers of the world. God meets us in Christ. God demonstrates His power by sustaining us in the gospel. Today is the final day of the conference. Please pray that all those in attendance would have a renewed amazement at God’s glory as they see afresh that our thoughts are not His thoughts and that our ways are not His ways. 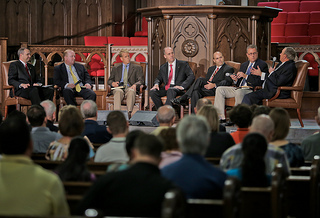 Lord willing, all of the sessions from this conference will soon be available to stream for free at Ligonier.org. Stay tuned for an announcement.